Hyundai Motor America is teaming with NFL Network Draft Analyst Mike Maycok to predict future NFL Talent. The automaker’s NFL Draft Day 2031 campaign launches at the NFL draft in Chicago April 28-30 and includes sponsorship of selection square. Families can create and share their own draft videos of their kids at DraftDay2031.com, and through an engaging on-site activation in Chicago. The digital and on-the-ground campaign is the continuation of Hyundai’s #BecauseFootball marketing program that aims to improve the NFL fan experience. The campaign is targeted at NFL fans and their families, specifically those families who are always on the go and using their vehicles to deliver their kids to sports and activities, says Trea Reedy, senior group manager, experiential marketing, Hyundai Motor America. The mockumentary was created by Hyundai’s agency of record, Innocean Worldwide. NFL fans can make personalized, sharable videos of their own favorite little football stars featuring analysis from Mayock. A personalized video featuring signature “Mayock-isms” can be shared across various social media platforms. 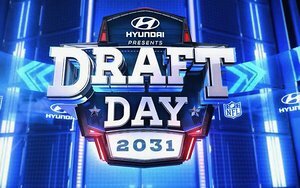 The Draft Day 2031 program will be supported with banner ads and pre-rolls on NFL.com, as well as a social campaign. If there is one takeaway from our time with the 2015 Hyundai Genesis 3.8 long-term test vehicle, it’s that the Korean automaker is well-positioned to launch its luxury Genesis division by incorporating this handsome sedan into the lineup. The styling, level of equipment, interior trappings and performance of the rear-drive Genesis reminded us of the 2014 Lexus GS 350, a similarly-sized V6 powered luxury sedan that preceded the Hyundai in our fleet. The major difference between the two is price—with a sticker of $49,950 including destination, the Genesis was more than $8,000 less than the Lexus’ MSRP of $58,794. (It should be noted, however, we tested the Lexus as a used CPO unit with 7,000 miles on the odometer and an estimated market price ranging from $47,527 to $51,314.) So, would you rather have a new Hyundai or a near-new Lexus—perhaps it would boil down your personal choice of the badge on your car. Equipped with a 311-horsepower 3.8-liter V6 mated to an 8-speed transmission, the Genesis didn’t lack for power or a smooth, seamless ride. A V8 is available, but for the most part, like in the GS 350, the 6-cylinder powerplant is more than enough and in the process delivers decent fuel economy for a car offering full-size space and comfort. On a few city-intensive stints, our worst mileage was around 18 mpg, but for the most part it hovered consistently in the 20-23 mpg range, pretty much spot on with the 22 mpg combined EPA rating. On longer freeway cruises, like several road trips to Las Vegas, we netted nearly 25 mpg, still well below the official 29 mpg highway rating for the car. Longer service intervals (oil changes are recommended at 7,500 miles) meant fewer trips to the dealer. We had one service call over the year for scheduled maintenance that cost $31.95 for an oil change. There was also a recall on the car’s tires which were replaced at no charge. The original fitments (Hankook P245/45R18 tires) were swapped out for Michelins. Hyundai originally responded with a service bulletin for the free swap to address owner complaints of tire vibration and noise and changed to a full recall when some tires were found to have developed cracks on the inner sidewalls. However, we never experienced any of the noise or vibration issues and the fact that Hyundai was quick to respond to consumer complaints bodes well for the level of service buyers can expect from the new Genesis division. Other than the tire replacement, we covered nearly 16,000 miles with no major issues. There was much to like about the Genesis, from its ease of operation thanks to intuitive and redundant controls, to the safety provided by its blind-spot-warning and park-assist systems which operated with an unobtrusiveness that alerted you without alarming you. Comfort and convenience is one of the car’s calling cards, and its generous trunk with a lid that would automatically open when you approached was quite useful. The handsome Genesis 3.8 may not be the flagship of Hyundai’s lineup (that has been left to both the V8 version and the Equus), but it definitely has done a tremendous job of building the automaker’s image. It offers Lexus-like quality and comfort with the bonus of a long warranty (5 years/60,000-mile overall and 10 years/100,000-mile powertrain) and a lower sticker price. In assessing the car’s resale value, the Kelley Blue Book price range for our test car, which is in good to excellent shape with minimal wear, is $37,830 to $38,627 on the private sale market and from $34,495 to $35,261 in dealer trade-in value. A similarly equipped Lexus is about $2,250-$2,500 higher, but also remember that it costs about $8,000 more when new. Just as the original Lexus appealed to buyers seeking high feature content, good quality and reliability at an affordable price, Hyundai is following the same playbook on its way to establishing itself as true luxury player. 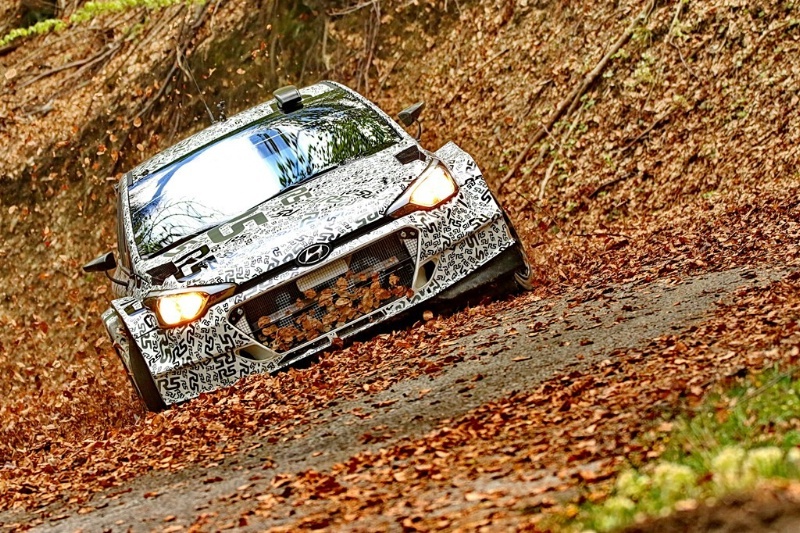 Hyundai Motorsport's testing of the 'new generation' i20 R5 moved from France to Italy for three days of running on roads south of Turin that added over 900 kilometres to its development after running for the first time on a sealed surface last month. From a testing base in the shadow of the Alps, the team had several routes available to them. Initially Hyundai Motorsport test and development driver Kevin Abbring tackled a route of fast flowing roads as, at the same altitudes experienced on events like Rallye Monte-Carlo which called for high speeds from the engine, the team continuing to increase the performance of the 1.6-litre turbo unit fitted with a 32mm air restrictor. The roads used on the following days provided a different test. The sweeping curves were replaced with a long sequence of hairpins that made different demands on the new i20 R5's handling. The heavy braking on the downhill tests was the perfect challenge to continue the development of the car's brakes from March's first tarmac tests. Throughout the test the car ran with new tarmac specification gear ratios. The varied nature of the roads used will help the team develop a versatile five-speed sequential gearbox that will be competitive on the full range of tarmac events around the world. The cumulative total of running during the test, completing nearly a full WRC round distance each day, was an important step as the Customer Racing department work towards the planned homologation of the new i20 R5 in the summer. “To have completed more than 900 kilometres of testing over three days is a great sign at this point in the 'new generation' i20 R5's development,” Hyundai Motorsport Customer Racing department manager Andrea Adamo said, “It shows that we have the car running reliably, which is of course something our customers will need when they compete on events. The focus of the Customer Racing department remains in Italy for the coming weeks, with testing on both gravel and tarmac planned at a different location in May. The test team will then start to look ahead to the car's first appearance on events, while Abbring will make their first WRC start of the year on Rallye de Portugal for the Hyundai Mobis World Rally Team. 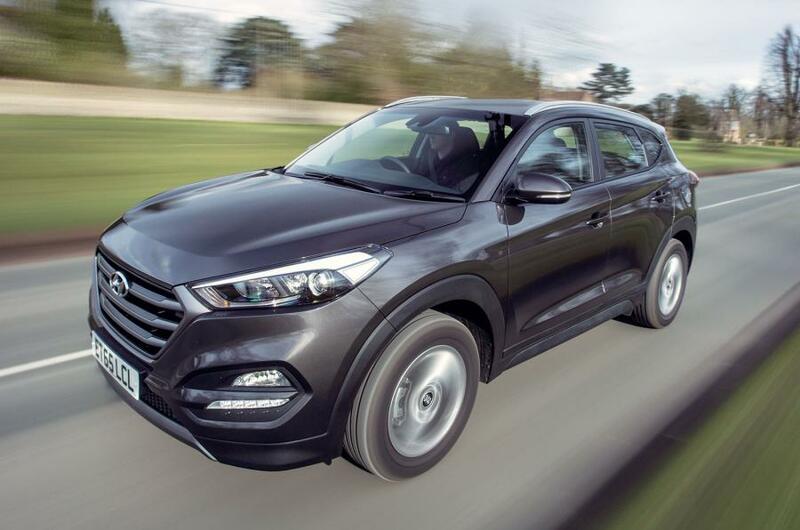 Back in February, Hyundai UK boss Tony Whitehorn told us that since the new Tucson went on sale last October, it had overtaken the i10 as the firm’s best seller. From October to the middle of February, some 13,000 Tucsons were registered, well ahead of the 9000 predicted. Interesting. Because — in case any extra evidence was needed — Hyundai is now being taken very seriously by UK buyers as not only a manufacturer of cheap and cheerful cars, but also of larger, plusher and more expensive models. And, of course, everyone loves an SUV. Hyundai recently smashed through the one million sales mark in the UK and wants to be selling 100,000 a year here soon with a 5% market share, up from the 82,000 and a 3.5% share in 2014. Whitehorn has promised “no let-up” in trying to reach that goal. Clearly, the Tucson, an SUV targeted right at the heart of the ever-popular Nissan Qashqai segment, is going to play a big part in it, and it is coupled with a desire for the firm to move upmarket. So it had better be good. Fortunately, we’ve got the next few months to find out whether it is or not. The Tucson is the new old name for the ix35. The Tucson was actually first made in 2004 as a rather forgettable SUV from the old Hyundai era. In 2009 it became the ix35 in its second generation as part of a new naming strategy for Hyundai that clearly became confusing for those inside the firm as well as outside, because it has gone back to the Tucson name for the new, third-generation car. At Autocar, we never actually ran an ix35 as a long-term test car, but it was a competent and likeable, if rather unremarkable, alternative to the allconquering Qashqai, which continues to go from strength to strength in its second generation. Spec-wise, early tests of the Tucson have revealed it to be a bit of a mixed bag, but there’s clearly a standout model in the range: the 114bhp 1.7-litre diesel version in upper-mid-range SE Nav trim. Early buyers agree, because this is the best seller. No surprise, then, that this is the model we’re running. Although the 1.7 CRDi Tucson is a fair bit slower than my previous long-term test car, a 2.0-litre diesel Ford Mondeo, it shouldn’t require any more stops at the fuel station, if the specification sheet is to be believed. Hyundai claims that 61.7mpg is possible on the combined fuel economy cycle, with an impressive 52.3mpg in town, while CO2 emissions are fairly low for such a large vehicle, at 119g/km. We could have opted for the more potent 2.0-litre diesel engine, which comes with as much as 182bhp, but it’s not particularly swift (0-62mph in 9.5sec) and is quite a bit less economical (Hyundai claims 43.5mpg combined), so it sells in significantly smaller numbers. There’s also the 1.6-litre petrol version, which has 130bhp, but 44.8mpg combined is all it can manage. And for a traveling photographer, fuel efficiency is key. Admittedly, the 1.7 CRDi takes 13.7sec to reach 62mph and top speed is a measly 109mph, but buyers of this car are far more likely to be more concerned about visibility and safety than performance. And on first impressions, it would seem that the Hyundai has these bases covered. Standard-fit driver assist features include a reversing camera that’s displayed on an 8.0in touchscreen, hill start assist, lane keeping assist and downhill brake control. 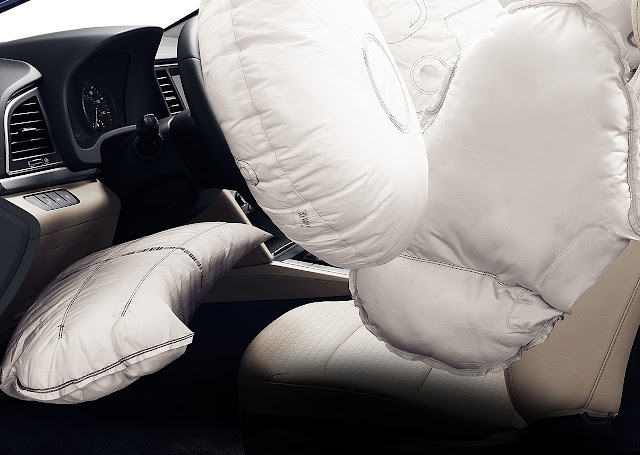 There are also six airbags, including side seat and curtain airbags. I’d run out of space if I were to list all of the other standard-fit features, but some key ones include satellite navigation, digital radio, cruise control and a speed limiter, Bluetooth connectivity, USB and aux-in connections, dual-zone climate control, heated seats and 17in alloy wheels. In fact, the only option on our car is the Moon Rock Pearl paint (£620), so it’s fair to say that you get a heck of a lot of equipment as standard on the Tucson. Compare this with, say, a Qashqai, where you’re looking at spending £1200 more before extras are added, and the Tucson begins to look like a bit of a bargain. The Tucson has also moved on quite a bit from where its predecessor, the ix35, left off. The old car’s cabin fell well short of its rivals’, but the fit and finish of the new Tucson’s interior is much more competitive. This matches the new car’s more comfortable demeanour, which is a result of the tweaked suspension settings. No doubt this more forgiving ride will be put to good use when the Tucson is loaded up with Autocar camera gear, and it’ll be handy when I’m hanging out of the boot trying to capture some car-to-car photography. First driving impressions have been largely positive, although I am having to adjust to a slow-responding throttle. It’s as if there’s an initial lag when pulling away, and this encourages you to press the accelerator harder before the car then responds and lurches forward. I suspect I’ll get used to it, but so far it has led to some fairly jumpy starts. Conversely, the steering responds quickly and I’ve already felt the fast reaction times of the car’s stability control on a slippery road. It’s clear, then, that there are many merits to owning a Tucson. I’m looking forward to finding out if there are any more. Just when you think you’ve picked out the best compact sedan, another new contender rolls up. This is the 2017 Hyundai Elantra, and I feel like I’ve already named my picks in this class, for people who want basic transportation that doesn’t feel basic. Hyundai has been good at that over the last decade or so, and this redesigned Elantra doesn’t seem to buck that trend. But it isn’t exactly inexpensive anymore. To succeed, it needs to out-Civic the Honda Civic. Here are some of my first impressions of the Elantra as I spend a few days driving it. Hyundai continues to get exterior styling refined to the point where tasteful and bland intersect. It’s fairly anonymous, but the Elantra is at least nicely detailed. Attractive 17-inch wheels don’t overstate the abilities of a car that’s extremely comfort-oriented. But it’s hardly memorable. Timeless might be the nice way of putting that. The Elantra also ditches every possible curve and flourish from the old car for straight edges and a somewhat blocky design. Buttons are also unusually large, which initially gives the impression this car is designed for a more mature demographic. The most recent Hyundai products I’ve encountered have impressed me with the completeness of the technology. This loaded Limited model gets all of the tech, including Apple CarPlay and Android Auto, on a bright 8-inch touchscreen with reasonably quick responses. Yet there are a lot of hard keys that let you accomplish most tasks easily, again, as if it weren’t designed just for Millennials. It’s all well thought out. Save for the hands-free trunk opener. It starts beeping furiously when you stand near the trunk and then takes way longer than opening the trunk with your hand would. And people wonder what the hell is wrong with your car. Until the hot-ish Elantra Sport arrives, the only engine in the 2017 Elantra is a 2.0-liter four with 147 horsepower and a six-speed automatic transmission. Nothing particularly impressive, but it all works well. I didn’t expect the Elantra to be fun to drive, so it’s fine that it isn’t. But it isn’t bad to drive in normal situations and it’s at least quiet at 55-ish mph. So far, fuel economy has been well short of the 29 city, 38 highway estimate laid out by the EPA. Eighty-or-so miles of mostly city driving got me just 21.3 mpg. We’ll see if a highway run does anything to make a better efficiency case for the Elantra. 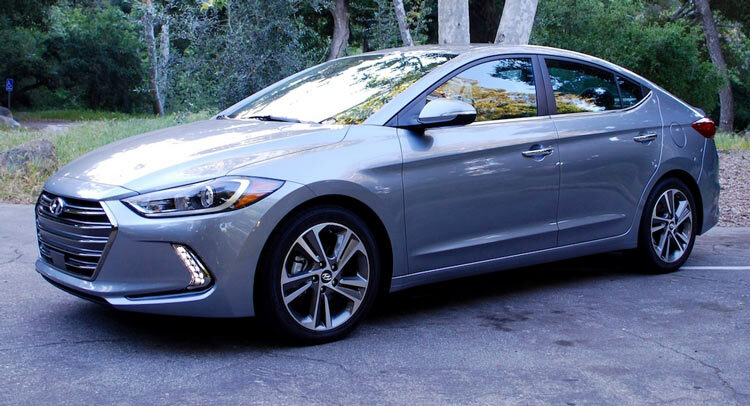 This Hyundai Elantra Limited with all of the options comes in at $27,585, on par with a similarly equipped Honda Civic Touring and a couple grand more than a Nissan Sentra with some of this gear. 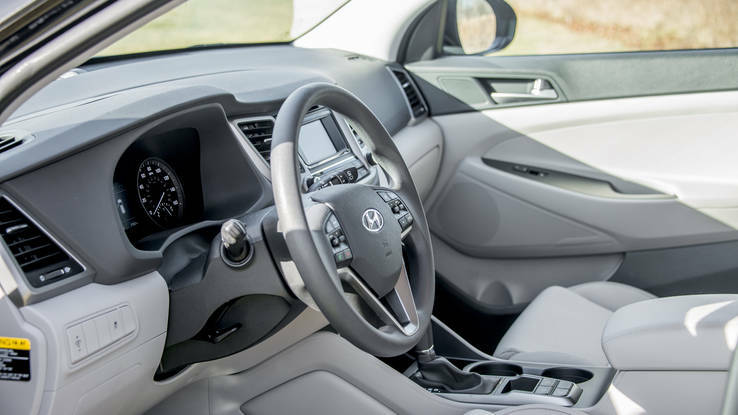 The $2,500 Tech Package added the navigation, sunroof and Infinity sound system, but you have to get it to get the $1,900 Ultimate Package that includes all of the safety gear. Still, it’s an awful lot of car for the money. But it’s also a very grown-up car for the money, something that isn’t so readily apparent among its rivals. The Elantra is aiming to be a classier compact, so I’m trying to find out if it succeeds at that mission. 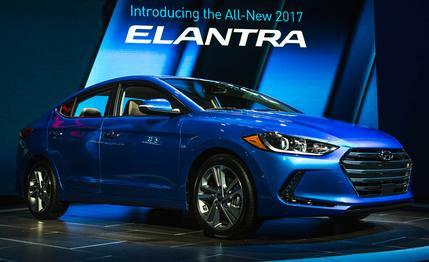 What are your questions about the 2017 Elantra? Sound off below. Hyundai Motor said Monday that it plans to roll out its first electric sport utility vehicle by 2018. Hyundai’s Namyang R&D Center is currently developing the electric SUVs, which can go up to 320 kilometers on a single charge, nearly double the mileage of sedan-type Ioniq Electric’s 180 kilometers. “It is true that we will launch a new electric SUV,” a company spokesman said. Sources said the new eco-friendly SUVs are being developed on a completely different platform from that of the Ioniq, which will also be churning out its own electric vehicles. Market watchers said it is a natural step for Hyundai to follow the global trend toward going green. More noteworthy is that “the automaker appears to be focusing more on sport utility vehicles as Kia’s compact SUV Niro has been better received by the market than Hyundai’s Ioniq, although they use the same hybrid powertrain,” said Kim Jin-woo, an analyst from Korea Investment Securities. SUVs have been much sought after in the Korean auto market in the last three years amid the growing popularity of outdoor leisure activities here. The world’s first electric SUV Model X was rolled out by American automaker Tesla Motors in September, but it has reportedly seen lackluster sales due to high prices that start from $80,000. BEIJING — Hyundai Motors said it has received more consumer inquiries in China after hit Korean drama Descendants of the Sun featured its cars and a scene showed a couple kissing while their Genesis sedan drove by itself. The Descendants of the Sun, a television serial about a Korean special forces captain and a surgeon falling in love while on an overseas mission, brings together two of the country’s most recognizable stars: Song Joong Ki and actress Song Hye Kyo. In China, where the show has garnered more than 2.6 billion views on video site iqiyi.com, female fans of the show’s lead actor have taken to calling themselves “Mrs Song” on social media. Hyundai is hoping some of that adulation rubs off on its cars and translates into sales. In the scene, the supporting male lead engages the Genesis’s lane-keeping and cruise control function on the touchscreen dashboard before reaching over to grab his love interest’s hand, eyes locked on hers and off the road. The camera pans out to show the car driving independently on a city road with vehicles zooming past before cutting back to the steering wheel, sans hands. The stunt is repeated, and the scene ends with a prolonged kiss to soft strains of orchestral music. That scene alone made a convert of Grace Wang. The 23-year-old sales representative at a boutique in Beijing plans to make her first car a Hyundai. Hyundai could do with the help. Deliveries fell 5.1 per cent to 1.06 million vehicles last year in China, the first annual sales decline since 2007.The shift in consumer preferences to cheaper sport utility vehicles hurt demand for the automaker’s sedan-heavy lineup, dragging it to the lowest profit in five years. The automaker will respond by cutting costs at its plants in China and stepping up production of smaller cars and SUVs to take advantage of a tax cut in October, Chief Financial Officer Lee Won Hee said on a conference call in January. At next week’s Beijing motor show, the automaker plans to show models including its new ix35 SUV and China-specific version of its Elantra sedan. Although its cars can now drive themselves semi-autonomously in controlled environments, Hyundai says laws in most countries mandate that drivers keep their hands on the steering wheels. The lane-keeping and cruise control functions may also be hampered by low-light conditions and severe rain as they rely on cameras to detect lane markings. The carmaker plans to develop partially autonomous vehicles by 2020 and fully self-driving cars by 2030, when the vehicles can pilot themselves for the entire journey from the engine start to parking. Most major automakers including Toyota Motor Corp. are working on some form of autonomous driving technology. For now, Hyundai’s lane-keeping function turns itself off 20 seconds after hands are removed from the steering wheel. So any kisses will have to be quick. On May 15th, 2016 teams all across the Pioneer Valley will be gathering at Look Park in Northampton, MA to take another step to help the 2.3 million people worldwide who suffer from Multiple Sclerosis (MS). MS affects everyone differently making it extremely difficult to find a cure/solution that will provide proper treatment for everyone. Because of this, fundraising and raising awareness has become extremely important in order to keep the search in motion. 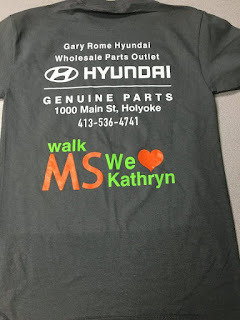 "Team Kdonn" would like to send a special thank-you to Gary Rome Hyundai of Holyoke for helping with the cause and providing personalized shirts for our team to sport during the 2.3 mile walk. 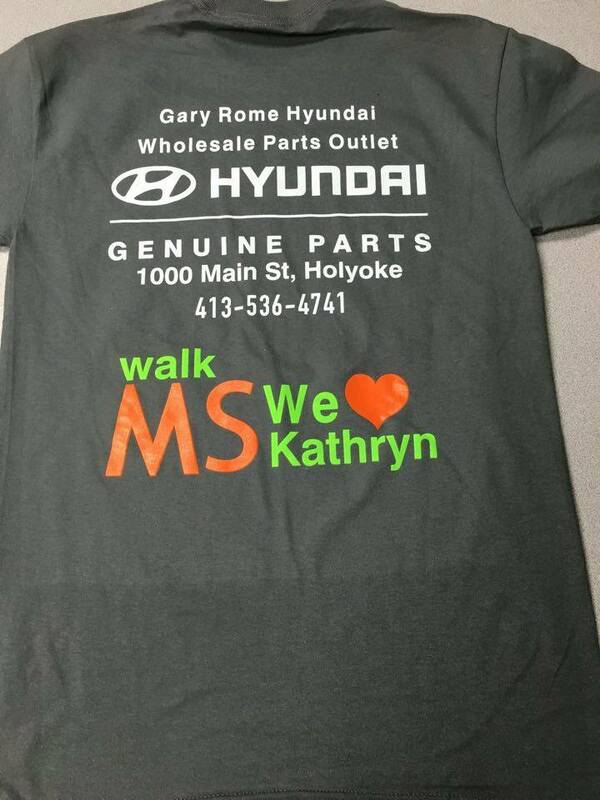 Fundraising is never an easy task and it meant a lot to the team for Gary Rome Hyundai to jump on the opportunity to help out a good cause. The team has raised $1,245.00 so far and thanks to the help of our friends at Gary Rome our money fund-raised continues to grow and we become that much closer to our end goal. 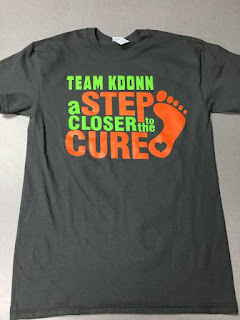 To find out more on how to help the cause, go to walkms.org or go to the Team Kdonn Page to donate. Hyundai is ushering off its months-old 2016 Hyundai Elantra to roll out the newly redesigned 2017 version, which has already earned a superior spot in several reviews in terms of safety and low emissions. According to Car and Driver, Hyundai has added several structural reinforcements along with additional high-strength steel to the 2017 Hyundai Elantra, with an aspiration of improving crash-test performance and hence the overall safety of the car. All the more so, the company expects a top safety rating from several transport bodies. The current Elantra's 173-hp 2.0-liter and 145-hp 1.8-liter four-cylinder engines are getting abandoned in favor of two new power plants. The limited models together with the SE models will now get their power from a 2.0 Atkinson-capable four cylinder powerhouse, with 147 hp and 132 Ib-Ft of torque. The new engine comes with a six-speed manual in the SE models and a six-speed automatic that is optional on the SE, and standard on the limited version. For the automatic, Hyundai expects fuel-economy ratings of 38 mpg highway, 29 mpg city, and 33 mpg combined. Soon, there will be yet another eco model with a turbocharged 128 hp, 1.4 four-cylinder engine accompanied by a seven-speed dual clutch transmission, according to Creators. Hyundai regards the model highly in terms of environmental protection. What is more, the 2017 Hyundai Elantra will be sold in SE and limited vesions, with prices ranging from $18,000 to $23,185. There could be more additional charges, however, like Ultimate ($1,900) packages and $125 for floor mats. The Ultimate packages will help commuters because of their safety aids for stop-and-go traffic, which add in pedestrian detection, automatic emergency braking, adaptive cruise control, and lane-keep assist. Even more, the included tech elements of the 2017 Elantra will improve the driving experience by employing such extras as an Android Auto or Apple CarPlay, a navigation system with an 8-inch touchscreen, heated front and rear seats, a power sunroof, and an eight-speaker Infinity Audio system. Car analysts say that the new 2017 Hyundai Elantra has a high-value feeling when one considers its seemingly over-budget details. All the same, each car has distinguishing features, but opinions show that the added safety and eco-friendly nature are some of the details that separate the Hyundai Elantra from the rest. Because autonomous driving and other smart car features can’t exist without high-speed data. Hyundai Motor Company is partnering with IT and networking equipment company Cisco to help develop the next generation of Internet-connected car services, which relies on lots of data shared at high speeds. The partnership, which will focus on a network that will speed up and improve the transfer of large amounts of data within the vehicle, is part of the Hyundai’s wider strategy of working with tech firms to create a connected car platform for its vehicles. Hyundai and Cisco say they also aim to make communication between the numerous systems within a car more effective. For instance, an advanced driver assistance system that has automated brakes and lane steering needs to be able to communicate with cameras and sensors as well as send information to the driver through a dashboard display in the car. For autonomous driving to progress, these systems have to communicate efficiently with each other and the driver in real time. The companies will also cooperate on basic research and develop a test environment for vehicle simulation. Hyundai Motor says it will invest in cloud, big data analytics, and connected car security technologies. The company did not how much it was planning to invest in cloud computing or big data analytics. Earlier this month, Hyundai outlined its plan to develop smarter cars that can receive and use data faster than ever before. The automaker needs to be able to transfer data at high speeds to roll out several next-gen features in its cars, including the ability to remotely diagnose and fix vehicle maintenance issues and to communicate with city and road infrastructure—a key development for self-driving cars. Hyundai is also developing a “smart traffic” feature, in which the car will pick a better route based on real-time data on traffic and road conditions as well as security and data management for all elements of the car. Are Internet-connected cars worth the risk? In recent years, automakers have thrown a lot of technology into cars in a bid to catch up to the functionality of smartphones, on which people have come to rely. But adding more technology hasn’t always translated into car sales. It’s no longer enough to have a car with Wi-Fi or a Bluetooth connection that allows a driver to pair their smartphone to the car. Now automakers are focused on doing more with the data they’re capturing from drivers to develop tech and Internet-connected features in the car that are easy to use, intuitive, and integrated with other apps or services. Just a few weeks ago, Toyota announced a new entity named Toyota Connect, which will use Microsoft’s cloud computing platform Azure to crunch data and help develop new products for drivers, businesses with car fleets, and even dealers. Hyundai, the only major American OEM lacking collision repair instructions for U.S. auto body shops, said Monday it planned to offer them at some point. “I know that we’re working on it,” Hyundai connected care publicity manager Miles Johnson said. Johnson said he couldn’t provide more details at the time. I-CAR last week released its 2016 OEM Technical Information Matrix, a guide to available collision repair procedures and some repair restrictions for 34 OEMs. Thirty-one of them offer U.S. auto body shops recommendations for a safe and proper repair. Hyundai, as with the prior 2014 matrix, didn’t provide such information to American collision technicians, though such data has been available to some shops abroad. However, its subsidiary Kia lets shops access repair procedures for Kia vehicles. Tesla provides its certified collision repair shops with such recommendations — but not anyone else. I-CAR is still researching if the other, Smart Car, offers any guidelines to the collision repair industry for its teeny bodies-in-white. Neither company’s sales come close to Hyundai’s volume. The company sold nearly 762,000 vehicles in the U.S. in 2015 — the No. 7 make of vehicle in America, according to GoodCarBadCar. More than 1,000 shops were certified on Hyundai’s OEM repair network; an I-CAR representative who’d worked on the matrix said he didn’t believe they could obtain U.S. procedures either. Johnson said the data just didn’t exist yet for the U.S.
Hyundai says it’s put a lot of thought into its collision safety, and it’ll be nice for shops, customers and insurers to have a means to ensure the vehicles are repaired in the proper manner to deliver such similar protection. For now, a shop’s best bet when faced with a Hyundai is probably to contact “Ask I-CAR” and seek assistance, not to mention being up-to-date on training and equipment — certified Hyundai shop or otherwise. Answers to some questions, particularly those which deal with topics also handled by mechanical repairers, might be available through Hyundai’s technical website. Want to know why following OEM procedures can be vital? Without them, a shop — even a good one — might be merely making educated guesses during a repair. And as vehicles get more and more complex, that’s a larger and larger problem. This Honda example demonstrates the results of a shop failing to follow correct Acura MDX instructions for ultra-high-strength steel. And this Irish Volkswagen video posted in February indicates what happens when could happen if a shop follows outdated procedures. And speaking of the differences between model years, here’s a Hyundai example from the Insurance Institute for Highway Safety on how the Sonata changed between the 2014, 2015 and 2016 model years — including the new design that began in November 2015. 2016 Hyundai Sonata Hybrid and Plug-In Hybrid Review: Happy Earth Day! Although hybrids have been gathering dust in new-car showrooms of late, carmakers can’t afford to ignore them, for several reasons. For one, fuel prices respond to the law of what you could call gasoline-market gravity: What comes down must go up. Two, environmental and fuel-economy regulations are pushing automakers in that direction. And finally, most carmakers wish to be perceived as “green” to some degree, and that’s certainly true at Hyundai. Enter the second-generation Sonata hybrid. The hybrid market may be somnolent, but Hyundai is pressing forward with a program of expanded electrification in its lineup, and an element of that foray is the addition of a plug-in variant of the Sonata hybrid. Like the prior generation, the 2016 hybrid is a parallel system, with an internal-combustion engine augmented by an electric motor, feeding power to the front wheels via a six-speed automatic transmission. But all elements of the system are new. A 2.0-liter DOHC direct-injected four-cylinder replaces the previous Atkinson-cycle 2.4-liter, reducing engine output from 159 horsepower and 154 lb-ft of torque to 154 and 140. At 51 horsepower and 151 lb-ft, the electric motor gains 4 horsepower versus the previous version, but the total system output rating is down slightly from 199 to 193 horsepower. The plug-in setup is essentially the same as the regular hybrid’s, although it has a bigger lithium-polymer battery pack and more kilowatt-hours on tap—9.8 kWh versus 1.6. (The 1.6-kWh pack itself represents a 13-percent increase compared to the 2015 model.) The battery pack resides under the trunk floor and takes a small bite out of cargo capacity in the Sonata hybrid (13.3 cubic feet, versus 16.3 for the standard Sonata); more space is sacrificed in the PHEV, where trunk volume shrinks to 9.9 cubic feet. The new Sonata hybrid boasts improved fuel-economy ratings from the EPA. Whereas the previous-generation car came in at 36 mpg city and 40 highway, the new one is rated at 40/44 mpg (or 39/43 in the heavier Limited trim level). The PHEV, for its part, carries a combined EPA fuel-economy rating of 40 mpg and is capable of operating for 24 miles as a pure electric (at speeds up to 75 mph). Also worth noting is that the new models continue with Hyundai’s 10-year, 100,000-mile powertrain and lifetime battery warranties. Like the previous Sonata hybrid, the new one is quiet—if anything, it’s even quieter than the original. The aero measures contributing to its improved fuel efficiency include a unique front fascia and rear diffuser as well as “eco-spoke” aluminum wheels, and they combine with acoustic glass and additional sound deadening to make this interior as hushed as just about anything that rolls, including those from Rolls. (A number of other exterior elements, such as fenders, lights, and badging, were altered to differentiate the hybrids from the conventional Sonatas, to keep neighbors and fellow travelers aware of the owners’ commitment to greenness.) Quiet also obviously applies to the PHEV version, which is equipped with a noise generator—a “virtual engine sound system”—to alert pedestrians when operating in pure-electric mode. The powertrains of both versions are commendably smooth, as well. Pure-electric power gets the Sonata off the line briskly, and the transition to internal-combustion propulsion is all but imperceptible. The 2015 Sonata hybrid could hit 60 mph in about eight seconds, and we estimate the 2016 edition will be just as quick. Although our drive route on this early preview covered mostly freeways, we noted improvement to the hybrid’s electric rack-and-pinion steering system, particularly in terms of on-center tactility. Like other hybrids, the Sonatas command a price premium compared with the other members of the family. Just how much of a premium won’t be revealed until the new model appears in showrooms sometime this summer (the outgoing Sonata hybrid pricing starts at just under $27,000). The PHEV version has no predecessor, but it’s sure to come with a bigger number on the window sticker than the regular hybrid. The PHEV’s prime competition—the Ford Fusion Energi and the Honda Accord plug-in—are in the $40,000 ballpark. The Hyundai’s claim to fame is that its 24-mile pure-electric range beats both of them. Recharging time is similar to other plug-ins—about nine hours with the standard 110/120-volt Level 1 recharging unit, about three hours with the available 220/240-volt Level 2 setup. Those big MSRP numbers are mitigated by a $5000 federal tax-break subsidy, as well as various additional incentives from the states where the cars are sold. When the Sonata PHEV goes on sale, beginning this fall, that ultimately will be the 10 states with ZEV regs: California, Connecticut, Maine, Maryland, Massachusetts, New Jersey, New York, Oregon, Rhode Island, and Vermont. Still, unless the prospective owner has a very short commuting routine, it’s hard to see the advantage of the plug-in. Even with its small edge in electric range, once the battery is depleted its hybrid fuel economy—40 mpg combined—isn’t quite as good as that of the cordless hybrid. The standard hybrid, on the other hand, looks like a very good bet. I know this to be a fact, as I experienced this several times during the week I spent with the new 2016 Hyundai Genesis 5.0 Ultimate. 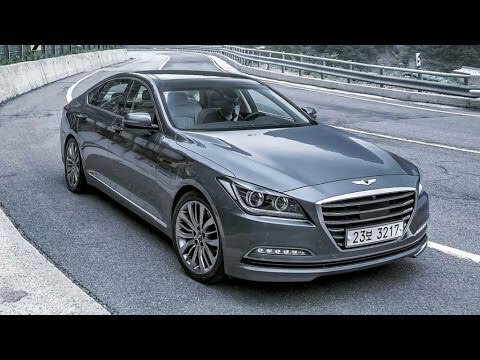 What is the Hyundai Genesis? The Hyundai Genesis originally debuted in 2008 at the New York Auto Show and drew instant attention. It was the first in a lineup of luxury sedans from what perhaps appeared to be an unlikely source. So bowled over were the automotive media that not only was the Genesis listed in Motor Trend's 2007 "Top Ten Cars Worth Waiting For," but it also went on to win the highly coveted 2009 North American Car of the Year Award and the AJAC’s 2009 Canadian Car of the Year Award. Since then, Hyundai has evolved and perfected its product to the point where the Genesis is often now compared to the likes of BMW and Mercedes-Benz. 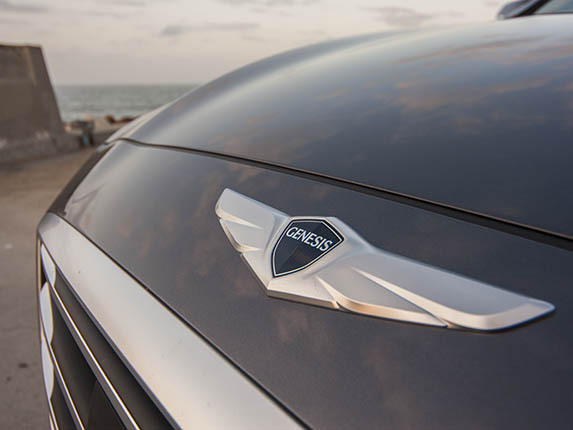 However, the Genesis has simultaneously suffered from what might be called “Emblem Status,” which is perhaps why the company recently announced its plans to separate this luxurious sedan from the Hyundai family and establish a standalone Genesis brand. What makes the 5.0 Ultimate so special? Well, the second generation, launched for 2015, truly upped its game. The Genesis has always been a great product from the start, and marketed at an almost unbelievable price point. However, if you dug around, you could perhaps locate the odd disappointment here and there. The window switches were somewhat crude to the touch, and certain interior finishes were not exactly top drawer. All relatively minor details when you recalled the asking price of the first Genesis, yet these were noted by critics, so the Hyundai designers went back and took another look. The new Genesis has become a product that’s truly worthy of comparison to other fine automotive brands while still maintaining its incredible price advantage. It’s a winning combination, delivered by a brand that is no doubt on a mission to prove itself. The 5.0 Ultimate edition is the epitome of this line of thinking ― jam-packed with every conceivable feature one would expect from a vehicle in its price category. From its sculptured exterior, with HID headlights and stunning, 3-dimensional LED taillights, this luxury sedan simply oozes class. However, its beauty is not only skin deep. As you slide into its premium Nappa leather seats, you’ll wonder why you’ve never considered a Genesis before. Glide your hand across that microsuede headliner and open-pore, natural walnut fascia or play with its amazing 9.2” 720HD touchscreen navigation/display unit. Or if you’re in the mood for music, crank up the 900W Lexicon audio system. This is a product that would do rather well in a game of car trumps. What’s it like to drive? If you’ve done what I’ve just mentioned, you’ll probably feel like going for a drive. You won’t need a traditional key, so long as you’ve popped the handy credit card-sized command device into your wallet beforehand. This is a nice touch, especially when you consider how many high-end competitors still make owners fiddle around with some sort of key-like device. The 2016 Hyundai Genesis 5.0 Ultimate fires up and idles with a delightful burble. A 5.0L DOHC V8 tends to do this. It genuinely sounds playful, yet in a muted manner, in consideration of its status. That is until you make good use of its 420 horsepower and 383 lb-ft of torque, together with its HTRAC all-wheel drive system and 8-speed SHIFTRONIC automatic transmission. Play with the paddle shifters on the Genesis, and driving becomes a pile of fun. Not quite a BMW M5 or an Audi S6, but with a price tag shy of $65k, it will surprise and perhaps shock even the most jaded automobile connoisseur. We then come to the handling part of the equation. Again, while not quite on the same level as the German products I’ve mentioned above, the Genesis 5.0 Ultimate is seriously impressive for a vehicle so affordable. In fact, with four available drive modes and Continuous Damping Control (CDC), I constantly found myself thinking, for the price, this is almost unbelievable! I’ll name just a few to give you an idea: Autonomous Emergency Braking, Adaptive Cruise Control, Blind Spot Detection, Rear Cross Traffic Alert, a rearview camera with front and rear parking sensors, and Lane Departure Warning with Lane Keeping Assist. The Genesis 5.0 Ultimate also features nine airbags, High Beam Assist headlamps, a full Head-Up Display (HUD), and a CO2 sensor that automatically activates the ventilation system to draw fresh air into the cabin to improve driver alertness. When you add in its 5-year/100,000km warranty, the 2016 Hyundai Genesis truly offers outstanding value for the money, and in so many ways. Sure, your friends may not instantly recognize the logo, but with many car brands lowering their pricing on entry-level models these days, perhaps that’s a good thing. Coming off its most successful Super Bowl campaign ever in its first year as an official NFL sponsor, Hyundai continues to celebrate the passion NFL fans have for their favorite teams by signing a sponsorship deal with the Miami Dolphins. 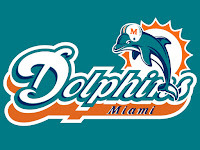 Expanding on four existing programs with NFL teams – the Arizona Cardinals, Houston Texans, Minnesota Vikings and Pittsburgh Steelers – the Miami Dolphins become the fifth team with Hyundai as an official sponsor. For the 2016 season, Hyundai will have three vehicles on display at all Dolphins home games, and will have entitlement to the exclusive "Hyundai Club," a sleek, air-conditioned space designed by the Rockwell Group offering a perfect location for spending time with family and friends pregame, in-game and postgame at the team's stadium. Hyundai also will have digital LED signage running on all team-related announcements at the stadium. "We are excited to partner with Hyundai on this multi-year agreement. Hyundai is a global brand investing in the growth of Miami and South Florida through the Miami Dolphins business and community initiatives," Miami Dolphins Senior Vice President & Chief Commercial Officer Todd Kline said. "Once renovations are complete, the Hyundai Club at the north sideline and additional new features within the stadium will continue to make our venue a global iconic destination poised to host Dolphins football, concerts and world class events." Furthermore, Hyundai will be the official sponsor of the Coach's Show, the Dolphin's insider show that airs every Sunday morning in season from 11-11:30 a.m., and will run print advertisements in local Miami publications. Finally, Hyundai also is the official sponsor of the Miami Dolphin's Thanksgiving meal distribution program, and will be the lead vehicle for the official start of the Dolphins Cancer Challenge. "Hyundai's experiential marketing programs are created to tap into the localized passion that NFL fans share with their teams," said Trea Reedy, senior group manager, experiential marketing, Hyundai Motor America. "By creating a Hyundai-driven experience for fans as they watch their team compete at the highest level, we aim to engage in the local communities and drive awareness of Hyundai vehicles." 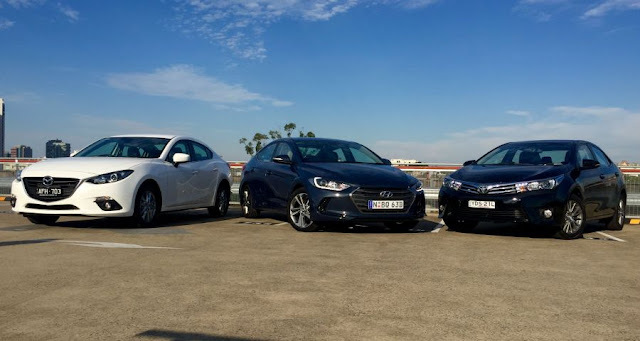 THE THREE TOP-SELLING SMALL CARS IN AUSTRALIA ARE THE MAZDA3, TOYOTA COROLLA AND HYUNDAI i30. HOWEVER, WHILE THE MAZDA3 AND COROLLA CAN ADD SEDAN SALES TO THEIR MONTHLY TALLY, THE i30 IS HATCH-ONLY. The equivalent sedan in the Hyundai range is the Elantra. But combine i30 and Elantra sales each month, and the Hyundai pair will more often than not sit at number one in the class. So the small car segment is big news for Hyundai Australia, which has just released a sixth-generation Elantra sedan featuring greater local engineering input than ever before. We put the new small Hyundai up against ‘the big’ small sedan sellers, the Mazda3 Touring and Corolla ZR Sedan, each a couple of years old now. Small sedans don’t enjoy the sales success of small hatchbacks. But because they’re bigger, mostly, and add extra boot space thanks to a longer tail, they offer a good alternative for family buyers. Petrol four-cylinder engines and automatic transmissions rule the roost in this class. The entry models of each small sedan start at $22,490 (Mazda), $22,990 (Toyota) and $23,790 (Hyundai) – plus on road costs in each case – but private buyers will likely look a little higher up the food chain to the more up-specced models. The Toyota may be the most expensive car in the field, but the Corolla ZR exclusively gets an electrically adjustable driver’s seat, front parking sensors (to match the rear sensors and camera standard on all cars here) and LED headlights to help justify its pricetag. It arguably isn’t enough to offset the $4500 surcharge over the Hyundai, particularly given that the Elantra Elite adds exterior doorhandle lights, electrically foldable door mirrors, a dual-zone (rather than single-zone) climate control system and larger 17-inch (versus 16-inch) alloy wheels. The Mazda3 Touring only gets 16-inch wheels as well, and although it gets dual-zone climate-control, it lacks the auto-dimming rear-view mirror and keyless auto-entry systems standard on both rivals (even the Corolla SX has the latter, in addition to front sensors missing from both the Mazda and Hyundai). The Mazda3 Touring is, however, the only vehicle here offered with a $1500-optional safety package comprising low-speed autonomous emergency braking (AEB), blind-spot monitor, rear cross-traffic alert system and the auto-dimming rear-view mirror. When added it still remains more affordable than a Corolla ZR, if not the Corolla SX. 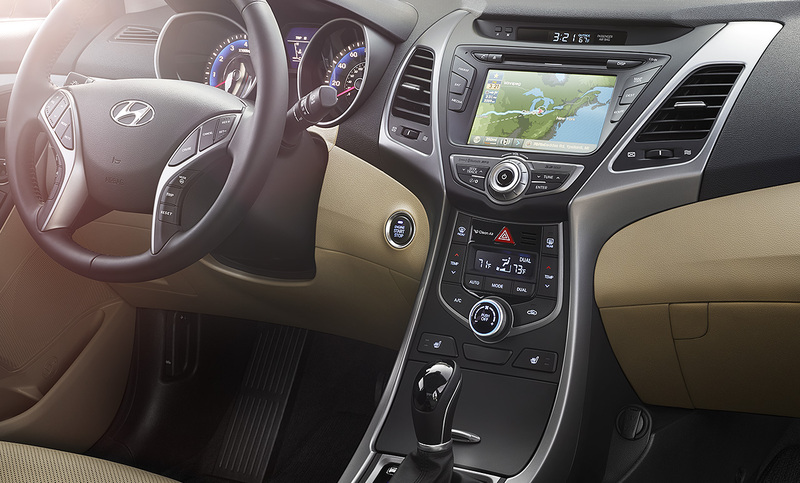 The Elantra is technically the only car here without integrated satellite navigation, but it features an ace up its sleeve in the form of Apple CarPlay technology, standard across the range. This brilliant system allows you to run maps, music and apps such as Pandora and Spotify through your smartphone, though it will utilize mobile data. It will also soon extend to Android Auto compatibility, meaning that most of the smartphone market will be covered. Hyundai’s 7.0-inch touchscreen otherwise doesn’t operate quite as intuitively, or look as upmarket in its graphics, as Mazda’s 8.0-inch unit that can be used as a touchscreen at standstill or via a brilliantly-functional rotary dial (flanked by shortcut buttons) mounted on the lower console. The Mazda3 Touring lacks Apple CarPlay/Android Auto technology, but it triumphs with integrated Pandora and Aha internet radio apps that can even be run via Bluetooth audio streaming – its rival needs a smartphone to be connected via USB. Toyota’s 6.1-inch touchscreen is the least impressive here, being slow to operate and featuring grainy graphics. A ToyotaLink app must be downloaded first before access to other apps such as Pandora becomes available. Curiously, its nav won’t let you input an address on the move, but it will let you navigate the map with your finger to select a point to go to. Either way, it’s needlessly fiddly. Of course many sedan buyers simply want sheer space, and here the Corolla ZR leads. Starting at the rear, its 470-litre boot volume is the largest here and its bootlid opening is the tallest and widest. The Elantra Elite isn’t far behind in either case, with a 458-litre boot volume that is only marginally distinguishable as smaller than its gargantuan rival – the cavity is similarly wide but isn’t as deep. The Mazda’s cavity appears notably narrower and its bootlid opening lacks the entry height of its rivals. It isn’t helped by the fact the boot floor is shallow, making for a difficult fit for taller objects such as bulky prams. The Mazda3 Touring is the only vehicle here with a space-saver spare tyre, where the others get full-size alloy spares. All include 60:40 split-backrest folding capabilities, perfect for longer items nabbed from a weekend at Bunning’s. The Toyota triumphs for rear accommodation. It opens its case with the widest back doors, and then offers the flattest floor (a boon for centre-rear passenger footroom) and almost double the legroom of its rivals. That said, its bench is ordinarily flat and headroom merely average. The Corolla ZR is the longest small sedan here, stretching 4620mm from grille-to-bootlid, or 50mm longer than Elantra and 40mm beyond the Mazda3. For passenger comfort, the Mazda has the most sculpted backrest for outboard rear passengers, providing benchmark shoulder support. It also has Corolla-beating headroom. Yet its bench sits closest to the floor, crimping legroom for even the moderately lanky. Conversely the Hyundai has a nicer seat base, firmly tilted upwards to deliver increased under-thigh support compared with the others. Although legroom is similar, leg comfort is demonstrably superior to the Mazda. The downside is a similar lack of headroom to the Toyota, meaning this 178cm-tall tester was only another centimetre away from brushing the rooflining. The biggest plus for the Elantra is standard rear air-vents lacking with its rivals. It’s also the only one with a luggage net, which along with the keyless auto-entry that illuminates the doorhandles on approach at night, and electrically unfolds the door-mirrors, hints at a bit more of a ‘premium’ experience than the others. Up-front the Hyundai delivers the most polished design of the field, though some of the lower plastics are hard, as are the upper door trims. However, the nicely damped switchgear and snug steering wheel all make the Elantra feel like a ‘mini Genesis’ – that being a reference to the brand’s $60,000 large luxury sedan. The Mazda’s design is slick, but details let it down. The Touring’s leather is more vinyl-like compared with the Elite’s perforated leather, for example, and fake carbon-fibre inserts appear needlessly tacky. Storage spots are lacking compared with the others, with particular mention going to the shallow centre-console tray and lack of door pockets – there are only single bottle holders in each door. Even the Toyota is superior to the Mazda3 for storage space and leather trim quality – although you do pay for it in the Corolla ZR. This sedan however dips out with older switchgear than the recently facelifted hatchback. Otherwise, a high standard of fit-and-finish and a fine driving position are commendable commonalities between this trio. It isn’t just interior quality that leaves the Corolla ZR sedan lagging behind its Corolla ZR hatchback stablemate. Recent updates to the hatchback model have resulted in smoother, lighter steering and more cossetting ride quality, however this sedan isn’t due to be updated until early next year. For now, then, this Toyota will have to make do with being merely average in these respects compared with its rivals. Surprisingly, its steering becomes quite direct and tactile at speed through corners and the suspension tackles bigger bumps on rough country roads with easy aplomb. The downside is dreadfully dull and heavy steering around town and when parking, and a lumpy, unsettled urban ride. The hints at dynamism only partially extend to its handling performance. The ZR is the most planted and stable car here when cornering, but it is also dull and has an overly aggressive electronic stability control (ESC) system. The point is, of course, a Corolla should be more comfortable as it doesn’t otherwise prioritise sporty handling. That’s not its game. Hyundai, meanwhile, has clearly placed writing on the wall that goes along the lines of ‘bring it on, rivals’. The locally tuned suspension of its new small sedan is mostly outstanding. It isn’t as plush as the recently released Sonata or Tucson, both of which utilise a multi-link rear suspension set-up compared with the simple, cheaper and harder-to-tune torsion beam arrangement here. However the way the Elantra irons out niggling road imperfections, yet maintains fine control of its body mass over big speed humps and other sizeable hits, is the best here by far. Most drivers will notice its disciplined and refined feel, in particular on secondary roads, and will also notice the quite low road and engine noise. It simply feels premium, like the Genesis large luxury sedan we mentioned earlier. Mazda has long been renowned for delivering fine dynamics, and the Touring can still teach the Elantra Elite a thing or two. Its steering is lighter and more naturally linear compared with the Elantra’s system (which is a fraction too artificially heavy at low speed, although it is tighter and more connected than the Corolla ZR’s system). The Mazda3 also feels lighter on its feet, and has the sweeter and keener chassis overall. It ‘points’ very well into a corner and always feels tight and well-controlled on rougher roads. However, for handling performance (with a Mazda3 badge), we would direct you to the Mazda3 SP25 with its bigger 2.5-litre engine and a slightly sharper point-to-point feel. Engine and road noise is a little more intrusive in the Mazda3 Touring than the Corolla and Elantra. 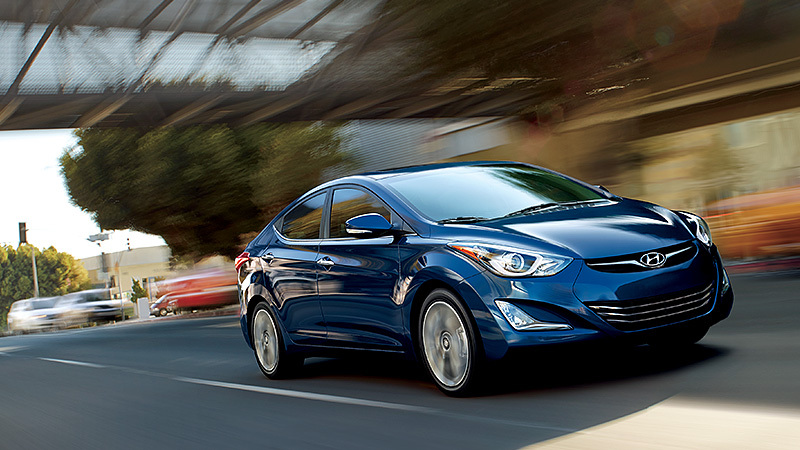 In the battle of the 2.0-litre four-cylinder engines, the Elantra’s comes out on top. The car is 26kg lighter than the Mazda3, but outputs and overall performance are similar. The Hyundai is simply quieter, and, when revved hard, the noise it produces is rortier and sweeter. The Mazda can get thrashy and overly intrusive. The Hyundai feels a little more alert and more willing to run, but each is capable of a quick stamp of speed when accelerating into fast-moving traffic, and neither are lacking on a country run. Both have six-speed automatic transmissions that are superbly intuitive in picking lower gears early on hills and then steadfastly holding the right ratio. The Mazda3 Touring adds paddle shifters (matching the Corolla), its tip-shifter is the only one here that is the right way around (push forward to downshift) and it delivers crisp response to match its dynamics. The Elantra Elite’s manual mode doesn’t work nearly as well, either refusing downshifts or slowly grabbing a lower gear. The Hyundai also lacks some at-idle refinement, thrumming through the cabin more than the silken Mazda which can become especially “silken” because it is the only vehicle here with stop-start technology. That clearly contributed to superior on-test urban economy of 9.0 litres per 100 kilometres, versus 9.7 l/100km for the Elantra. Add country and freeway driving into the mix, however, and the feeling that the Mazda3 Touring was working harder was supported in overall economy of 7.7 l/100km for both cars. This is despite the combined cycle fuel consumption sticker reading 5.7 l/100km for the Mazda versus 7.2 l/100km Hyundai. Where is the 1.8-litre four-cylinder Toyota among all of this? Out in front, that’s where. Its benchmark on-test urban economy of 8.7 l/100km was backed up by overall economy of 7.5 l/100km for yet another win. Going with the ‘it’s not what you’ve got but how you use it’ theory, the Corolla ZR’s automatic continuously variable transmission (CVT) proves a very good fit with the smaller engine. The CVT is immediately responsive, using its infinite gearing – rather than having six fixed gears, it uses a variable sliding mechanism – to lower and raise revs effectively. Rather than chomping down through lower gears as its rivals do, the Corolla ZR’s gearbox subtly bring revs up before the driver needs to add throttle response, holding only moderately higher revs without affecting refinement, then decisively dropping revs to aid economy only when it needs to. Toyota’s four-cylinder is a gravelly old workhorse, and not overly impressive in isolation, but the auto it mates with is fantastic. Its economy result speaks for itself. The Hyundai Elantra servicing offer ($747 to three years/45,000km, $1096 to four years/60,000km) is the cheapest here. Its five-year unlimited kilometre warranty is also best. By comparison, the others offer three-year warranties with either no kilometre limit (Mazda), or up to 100,000km (Toyota). Servicing is required every six months or 10,000km for Corolla ($840 to three years/60,000km), compared with annual or 10,000km servicing for Mazda3 ($981 to three years/30,000km, $2113 to six years/60,000km). A win to the Elantra then on warranty and service costs. TMR VERDICT | Who wins the ‘small sedan showdown’? This small sedan showdown didn’t need to go to a tiebreaker. Had the results been closer, the Hyundai’s five-year unlimited kilometre warranty and benchmark annual/15,000km servicing intervals could have helped it clinch victory. But the Elantra Elite didn’t need any further help. The newest model here, it also feels the most premium, yet costs the least and presents the best value equation. It is also the benchmark for ride and refinement, if not in terms of cabin space or outright handling. The Mazda3 Touring feels a bit underdone and noisy by comparison, and the 2.0 litre SkyActiv engine doesn’t quite cut the mustard. A better buy is the 2.5-litre Mazda3 SP25 for only $400 extra, but without leather trim. As for the Corolla sedan, if the value equation were level, we could imagine a family choosing the Corolla ZR sedan over these rivals, such is its space and economy benefits, not to mention the most responsive drivetrain and performance. 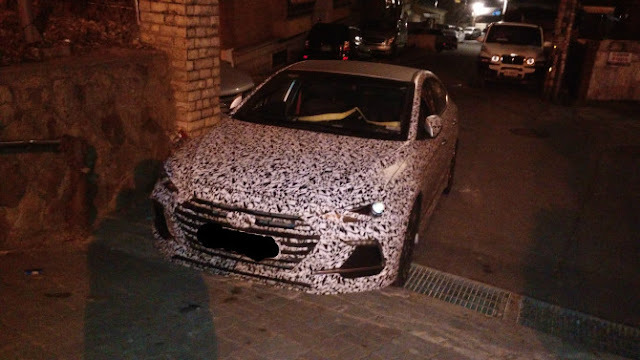 Hyundai introduced the sixth generation 2016 Hyundai Elantra last year and is now preparing to up the game with a performance variant of the same. Later this year, the company will launch a performance variant of the car called Hyundai Elantra Sport (name unconfirmed). A spyshot of a test mule has surfaced over the web showing details. The test mule shows that the performance variant features larger air vents and LED daytime running lights and chrome accents over it. Other exterior features will likely include tweaked headlight cluster, front splitter, special alloy wheels, sporty side skirts, twin chrome tailpipe and rear spoiler. Inside, the Hyundai Elantra Sport may get special upholstery with contrasting accents and a few such other visual addons. The Sport variant won’t be a full-blown performance machine, but some tweaks with the suspension, brakes and other parts to improve the driving dynamics. Under the hood, reports say, there will be the 1.6-litre T-GDI petrol engine from the Hyundai Veloster Turbo that makes 201 hp and 265 Nm of torque. This engine could be tuned to produce a little more power. The engine would be mated to a 7-speed DCT gearbox. 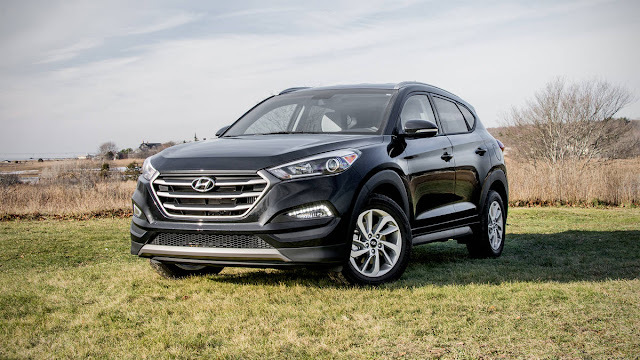 The Tucson is all new for the 2016 model year, and in re-creating one of its best-sellers, Hyundai has built an impressive crossover, parts of which should serve as a template for automakers who have been playing in this segment for a very long time. I first drove the Tucson in 2.0-liter form back in July 2015; spending a week in a 1.6-liter model leaves me wondering if there is much need for the larger engine at all -- that’s how capable the turbocharged inline-four feels. The smaller unit pumps out 175 hp and 195 lb-ft of torque, and it’s almost as smooth and quiet as the larger engine. 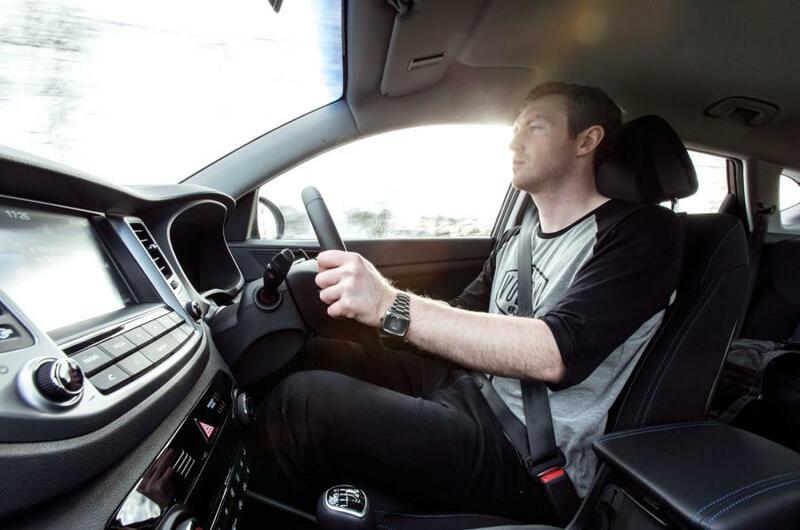 The Tucson offers plenty of power off the line; getting up to highway speeds, it slides quietly through the gears of the seven-speed dual clutch transmission. Hyundai has spent a lot of time getting noise, vibration and harshness right, and it pays off in a quiet and well-proportioned cabin. Everything is within reach, nothing is out of sight, and the seating position is just right for my stature. The only dynamic issues for which I might fault the Tucson are nosediving during braking and some slight hesitation from the DCT when starting from a standstill. I think the DCT is an OK choice here for most buyers, especially given the fact that people have to put up with CVTs from competitors in this segment, but it's not the smoothest unit out there. Overall, the clunky dual-clutch and the budget cloth interior of the Eco model will probably drive buyers up toward the more loaded Tucson models, which do feel substantially nicer. A lot of shoppers in this segment will inevitably find themselves between the CR-V and the Tucson because they’ve been buying the CR-V since the first Clinton administration. To me, the Tucson is by far the winner in this matchup. The engine, CVT, and driving dynamics in the CR-V are certainly worth experiencing ... just to feel the difference between the two. There's also the equally excellent Mazda CX-5, whose handling some buyers may find a little too sporty and outward visibility slightly restricted. Economical and ecologically sound! It’s an eco double threat! Or at least that’s what I assume is the thinking here. The small engine/DCT combo is usually a recipe for disaster. It’s nothing to write home about here, but it’s not excruciating to drive -- certainly better than a CVT. Except at lower speeds. In stop-and-go driving, you’ll experience a lot of the downsides of a dual-clutch, like clunkiness and a touchy throttle that makes nosing into a parking spot a potentially fascia-shattering proposition, without any of the supposed fuel economy benefits. I drove moderately, usually at cruising speed and sometimes in Eco mode just for the hell of it, and returned a so-so 24.6 mpg. But what about the other side of the eco equation -- presumably, value? If it’s here at all, it’s because the redesigned Tucson is an all-around ground-up improvement compared to its predecessor, a credible contender in the midsize CUV field. On the Eco trim, you get lots of plastic, including, unfortunately, the steering wheel, plus a tiny navigation screen with no available option for navigation or automatic climate control. If you’re OK with living with a decade-old list of amenities, albeit in a better-designed, better-constructed and better-handling vehicle, this Tucson Eco is worth a look. I’d like to sample this in a more luxe trim at some point, just to see if I feel more strongly about it either way. It’s gotta be tough being a product planner: America wants crossovers, but gas is at $4/gal for the foreseeable future. What do you do? If you’re Hyundai, you make an “eco” crossover and release it … just in time for the cheapest fuel in a generation. C’est la vie. Here’s the thing: Good gas mileage is still nice, but this Tucson doesn’t really deliver it. I got mid-20 mpg figures all weekend in Normal mode, no A/C and decidedly NOT flogging it. Apparently 31 mpg is attainable on the EPA’s "downhill in a hurricane" test cycle, but even that’s nothing to write home about. At the same time, the powertrain doesn’t make you feel like you’re sacrificing anything, so in that respect go Eco -- the 1.6 delivers nice torque, and the comfort-tuned DCT takes up smoothly and shifts well. My guess is Hyundai attempted to achieve Eco status through weight savings; specifically, by deleting any possible convenience and comfort feature from this Tucson. It’s seriously rental-car grade inside with unheated cloth seats, manual climate control and a big, black bezel around the teeny infotainment screen that reminds you what you’re missing. You get A/C, automatic headlights and…that’s about it. Fine for a rental-car price, but for $26.5K? My advice is run, don’t walk, to your nearest Honda dealer and get a nicely loaded CR-V EX with AWD and the exact same fuel economy for just a few hundred bucks more. As with the Sonata Eco, the DCT wasn’t the best choice. A traditional automatic would feel smoother and be more responsive than this dual-clutch (but would be less efficient -- Ed). However, unlike the last time I was in a Tucson, I was happy to see a good-looking cabin area. It still feels on the cheap side of the midsize CUV market, but less plastic-y than before. I still want Hyundai to buy interior-colored fasteners when visible or put caps on them -- looking at you, sunvisor screws. It feels fast enough for everyday use, but won’t set any records on the Nurburgring. The unheated seats, and steering wheel, did make me feel like I was in an Explorer from the mid-'90s, but in an endearing way. Heck, I almost threw a copy of Dinosaur Jr’s “Without a Sound” in the CD player to bask in the '90s nostalgia, but thankfully (for my sake) didn’t. The idea to make cost and fuel-efficient crossovers is a great one; however, as Andy pointed out, OPEC doesn’t seem to be working in Hyundai’s favor, and the 24.6 mpg that Graham achieved doesn’t make it deserving of the word eco. 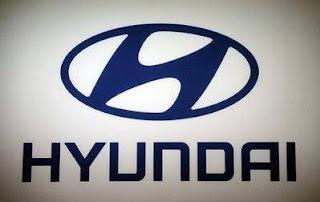 The accumulated sales of Hyundai Motor Co. and its smaller affiliate Kia Motors Corp. have reached over 100 million units this week, company officials said Saturday, a feat achieved in less time than most other global automakers. The combined accumulated sales of the country's two leading auto companies reached over 100 million cars as of Friday, according to the officials. Together, the two automakers make up Hyundai Motor Group, the world's fifth-largest producer of vehicles by sales. The achievement came 54 years since the group began producing cars in 1962. Hyundai Group is not the first to have reached the milestone, but likely is the first to do so in such a short period of time compared to others, including Volkswagen, Toyota, GM and Ford, all of which have a history of over 70 years. Since its foundation, Hyundai Motor Group has sold some 30 million cars in South Korea with the rest sold in global markets. By vehicle, Hyundai Motor's compact passenger car the Avante, sold globally as the Elantra, is the group's most sold vehicle with 11.19 million units sold since its launch in 1990. Kia Motors' bestselling car ever is the Pride compact passenger car, which sold 4.22 million units since its launch in 1986. On Friday, group chairman Chung Mong-koo said the group will have no problem meeting its annual global sales target of 8.13 million units this year. In 2015, combined sales of Hyundai Motor and Kia Motors came to 8,015,745 units, a slight increase from 8,005,220 cars sold in the previous year. Hyundai is planning to become a top-five player in the UK car market, and Tony Whitehorn says it’s all about reacting to customers’ changing desires. Hyundai has seen rapid growth in the UK over the past few years, and its strategy is to cement its place in the top tier of the country’s motor manufacturers. In what Tony Whitehorn, president and CEO of Hyundai UK, calls “an interesting business dynamic” where the “product is ahead of our brand”, he says people are pleasantly surprised when they first get into a Hyundai. Any business wants to have a top reputation, but he adds that there’s something positive to be had when expectations are exceeded. “When people get into our vehicles, they are surprised. In a way that’s nice because our conversion rate is enormous,” he says. The high rate of conversion from potential customers to Hyundai owners has helped the company enjoy a period of strong growth in the UK over the past few years. It might explain Hyundai’s rapid growth in the UK. The company was 23rd in the market in 2008, shifting about 28,000 vehicles a year. Today it is 10th, with nearly 90,000 cars sold last year – an annual rise of 7.5%. “We’ve had a meteoric rise and we’ve been the fastest growing car manufacturer in the UK during that time,” says Mr Whitehorn. “Once you’re in the top 10, you want to be in the top five. If you can get 5% market share then you will be in the top five. That’s our vision. “A major reason for getting where we are today is product. It doesn’t matter how strong you are or how good your brand is. At the end of the day, if your product is no good then everything else is hollow. 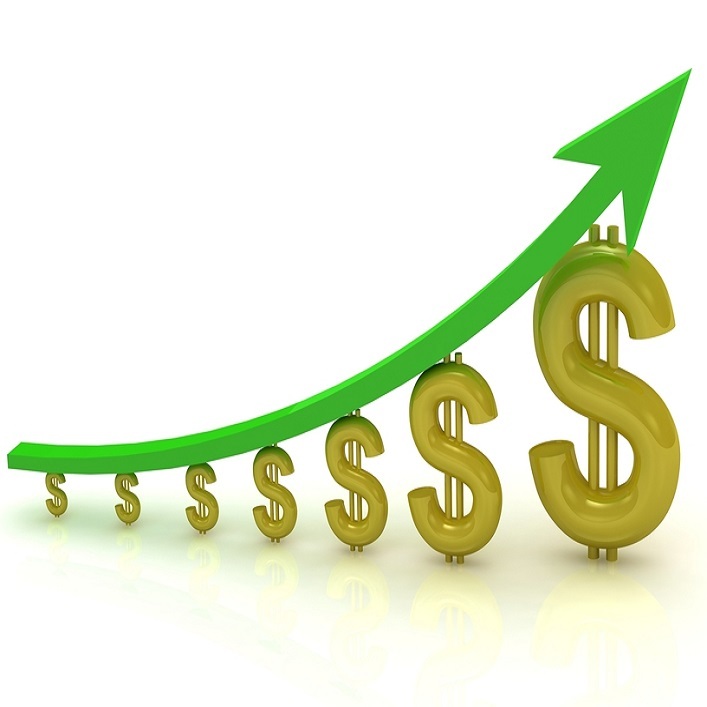 “We’re going to [try to hit the top five] by bringing more product to market. Part of that will be the Genesis brand, which will be for us a bit like the Lexus is for Toyota, and that will add a bit more diversification for us. The N brand will come to market next year, and that will be a little bit like the M brand is for BMW. The aim is to sell 100,000 cars a year in the UK within the next five years. As far as drawing up a strategy is concerned, both competitors and consumers can have an influence, but Mr Whitehorn insists it’s the latter that really holds all the cards, and he uses the issue of propulsion as an example, with the demand for electric, fuel-cell, hybrid and plug-in hybrid vehicles driving the market. But Hyundai, which moved into the UK market in 1982 and hit total sales of a million by the end of last year, has also been innovative in how it sells its cars. 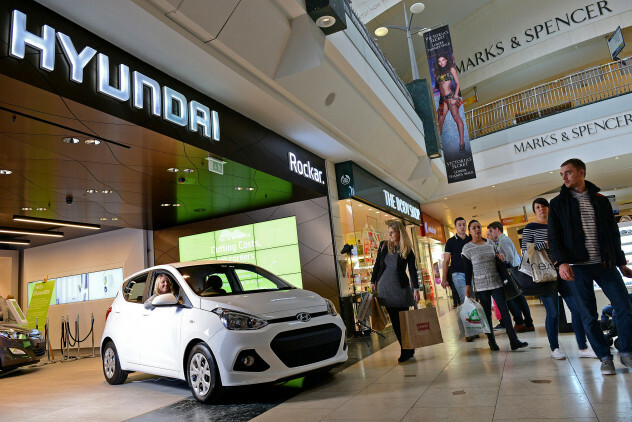 Historically, you cannot buy a new car on the internet without talking to a dealer but now customers can visit a Hyundai shop – its “Rockar” project – and buy one there, as well as visiting one of its 165 dealerships. “There’s much more going on the internet, so we were the first company in the world to open a store, just like an Apple store, in Bluewater, and we also now have one in Westfield Stratford,” says Mr Whitehorn. In terms of challenges on the horizon for the industry, Mr Whitehorn pinpoints a couple of unknowns. “The key for any business is stability,” he says. “On the Brexit side, if there’s some uncertainty as we lead up to June 23, everybody is going to be a little bit worried. The great thing about the UK at the moment is the stable economy. The trouble is between now and the June 23, people are a little unsure. As far as interest rates are concerned, again it’s the slight fear of the unknown. “One of the reasons why the car market is so strong overall is because more and more people now buy cars on finance,” Mr Whitehorn says. Then there’s the issue of emissions – something that has had a lot of publicity recently. “Any manufacturer that produces only petrol or diesel vehicles needs to wake up because the consumer is going to be looking for different methods of propulsion,” Mr Whitehorn says. The well-documented Volkswagen scandal has brought mixed fortunes for companies such as Hyundai. The evidence suggests that someone who has always opted for one of the VW brands might now look elsewhere for a new vehicle, playing into the hands of its competitors. But, as with the Toyota recalls a few years ago, there is also a flip side for the wider industry. “The negative side of it is that people are saying, ‘It’s a focus on emissions, so let’s look at the whole of the car industry’,” says Mr Whitehorn. Gary Rome Hyundai Construction Update!